Japan-headquartered global building materials major Lixil Group Corporation has launched Project Nadee, its flagship skilling programme for India’s plumbing community, in a bid to “strengthen its alignment” with the government’s Skill India initiative. “While business performance and strategy are important for any market, we at Lixil take pride in doing more for the communities in which we operate. To this end we have launched Project Nadee, which aims to transform the industry in a 360° way. 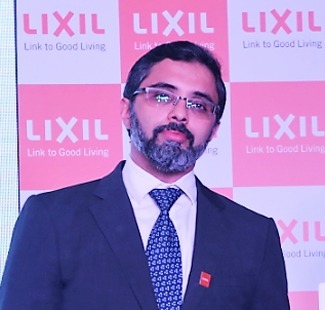 This massive project is in line with Lixil’s aim of transforming the end-to-end home solutions experience in order to make it easy, enjoyable, and of true value to the consumer,” said Bijoy Mohan, CEO for Lixil Asia Pacific. With Project Nadee, Mohan added, the company is taking the lead in creating a digitally enabled industry platform to solve a large problem that has the potential to hinder industry growth, if not resolved. Being a leader in the industry, it is “best placed” to address the issue as it can influence the entire value chain towards this purpose. Underlying the USP of Project Nadee, Lixil’s skill development platform offers a mobile platform with work leads, M-Learning and open jobs, and face-to-face training certification. Also, linkage of plumbers to industry, and three levels of certification which include level 3 from Germany have been worked out.